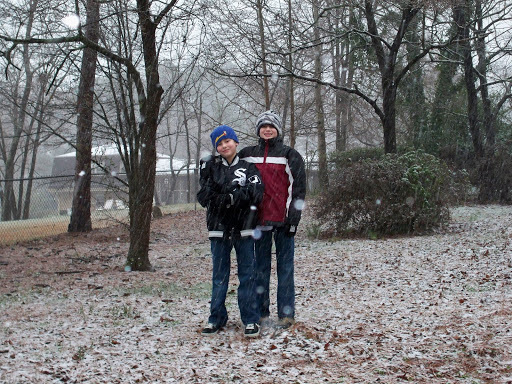 Well, Alabama finally got snow today. Well, it has had snow before but not since my kids have been alive. 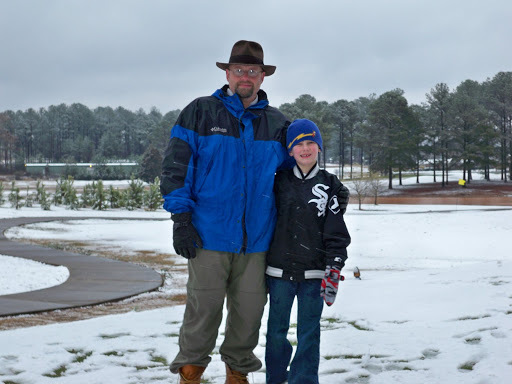 We lived 9 years in Louisiana and got one snow storm. Unfortunately, my oldest was barely 1.5 years old and hated it. Ever since, he has wanted to play in the snow. 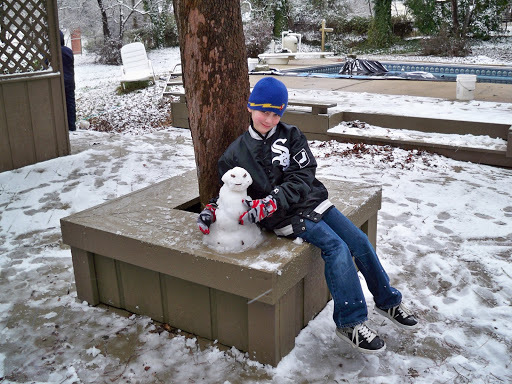 My youngest, Hudson, has never seen snow. On two earlier occasions I had notified them of inbound snow, only to have the forecast fail me. Today, though, we had a 90% chance of 2-4 inches. I’d guess we probably got 1.5 inches, maybe 2. But it fell strong and long enough for the guys to get in it several times and do snow angels, pummel me with snowballs, and get real cold. It was a blast watching their faces. I was so happy for them, and pleased that the pressure was off of me for all my failed snow predictions! Here they are as the snow started falling. The snowman. Not much, but we made him look mean. 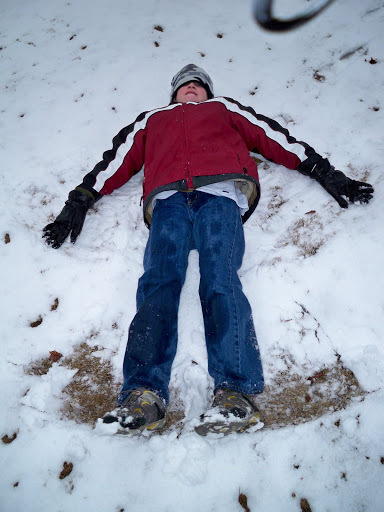 What’s snow without snow angels? Oh my — all I can think is that my little Isaac will be that big before I know it.